OLD PARKED CARS. 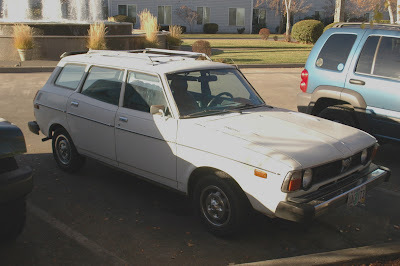 : 1978 Subaru GL. Wow! This would have been a rare find 20 years ago! It looks like it just rolled off the showroom floor. 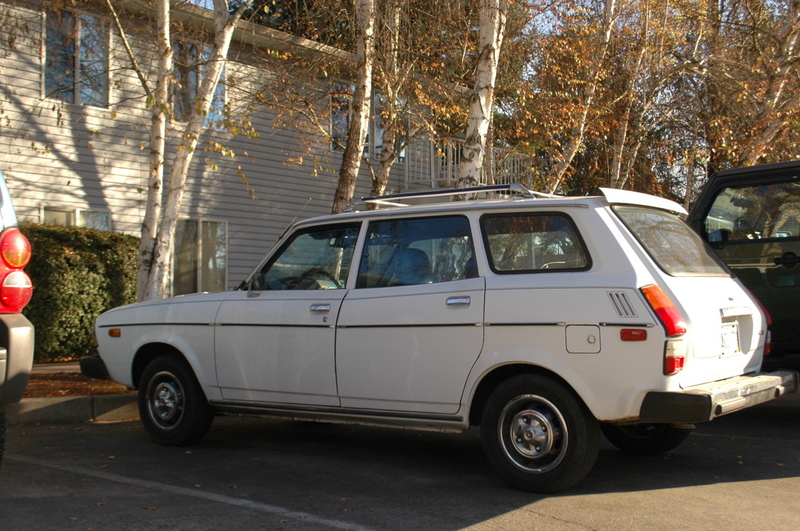 That's something you won't find here in Nordic at all, first Subarus were imported in 80s (Leone, 2nd generation). Those were easy to spot, unusually angular design and really odd looking. 4-wheel drive always sells in a country which has snow 4 months almost every year, major motivation for buying a Subaru even now. 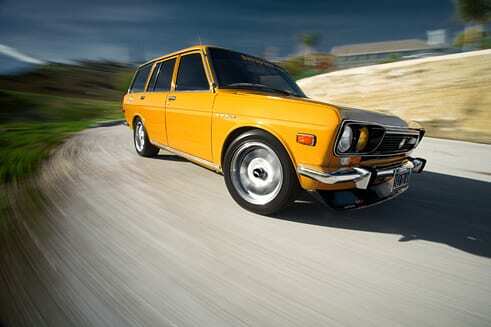 What a great design, I'd say that's the most tempting Japanese wagon of the late 70s. The nearly straight lines surrounding that grill are so sharp. 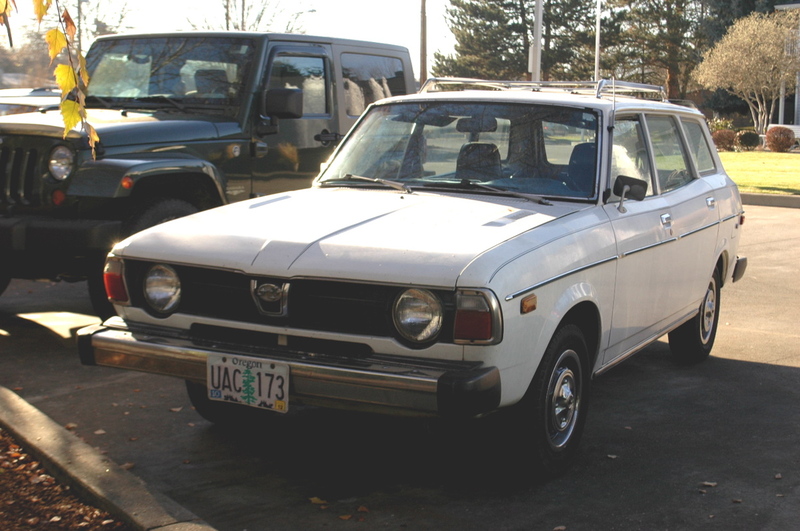 It's pretty rare for me to not want to see a good Japanese car muscled out, like this, I mean this. But you'd be crazy to change anything here! I think you guys hit the gold mine with these retirement home parking lots. Ho-lee Jesus.....what a find! Best of 2012 worthy, 'Nuff said. Does it have that crazy "passing light" in the middle of the grille? does not appear to, charles. but that's another one for the bucket list.